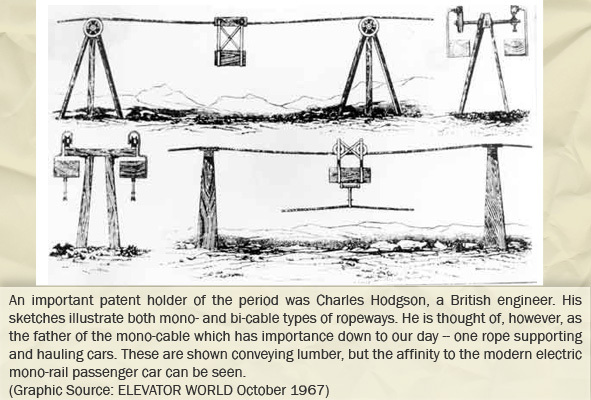 The elevator industry quickly came to see the horizontal movement of passengers by moving stairways and sidewalks as an important segment in a broader band of products. 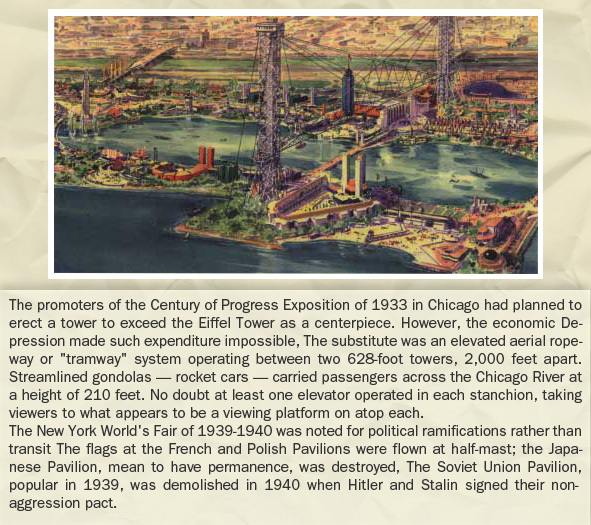 However, many passengers needed to be moved further than even a stack of escalators or the longest sidewalks could take them. 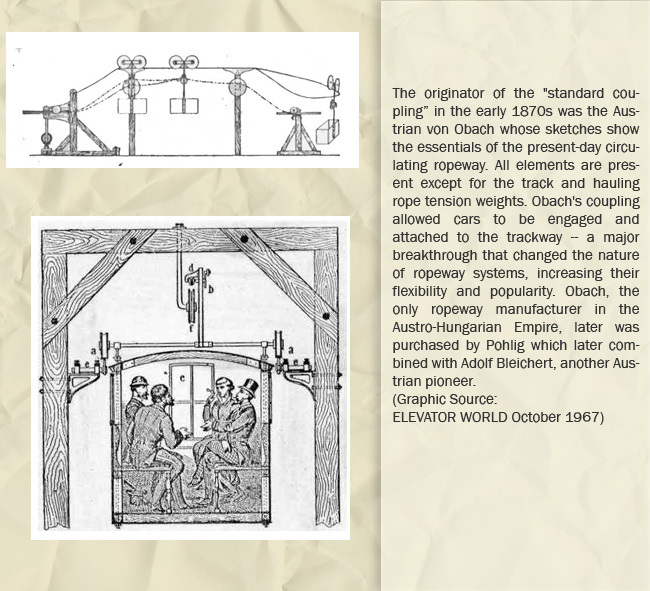 The industry, not wishing to forgo any involvement with the continuous movement of people, finally returned to the original concept of the high-rise elevator system -- the hoistway was turned over on its side! 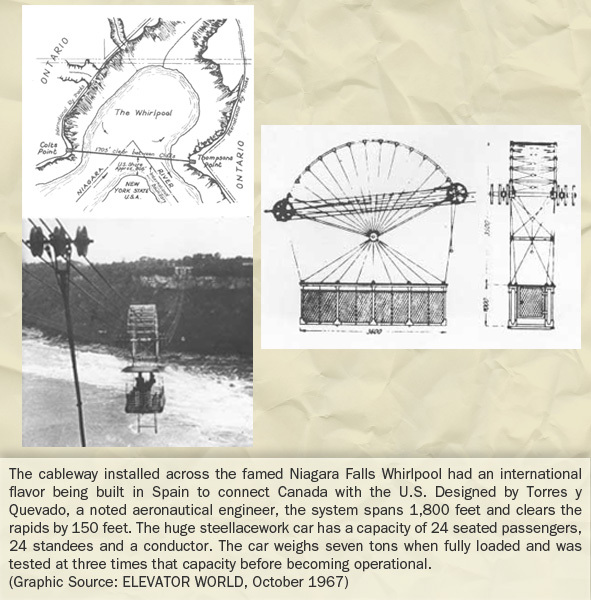 Elevator-type cars ran on the surface, in many instances utiiizing the same, or slightly modified, drive and control systems. 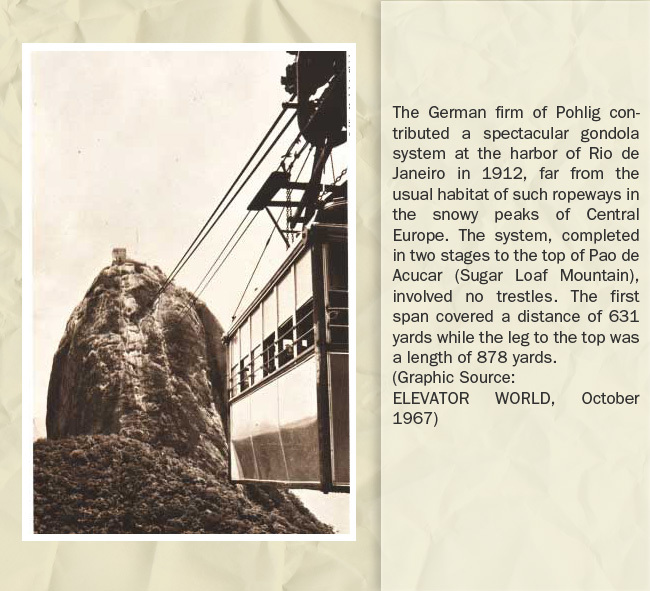 The counterbalanced funicular/hill-climber was also tipped over on its side and turned into a shuttle that served weI! 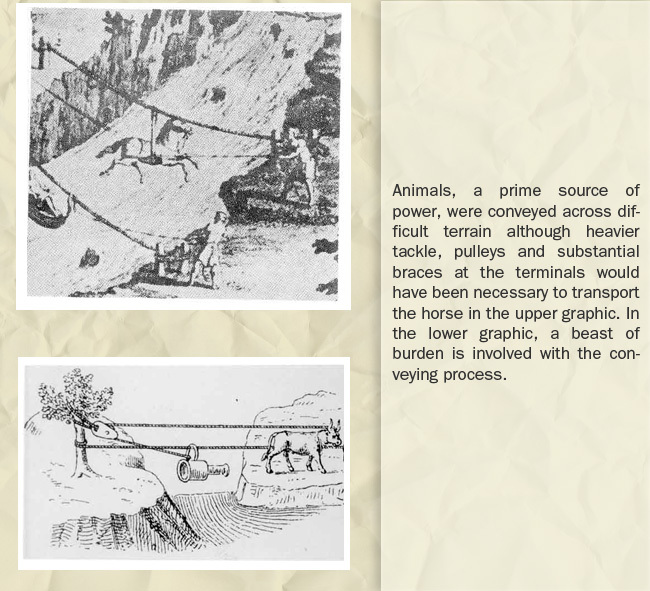 in airports and other locations where batches of passengers needed to be transported, with their luggage, between two points. 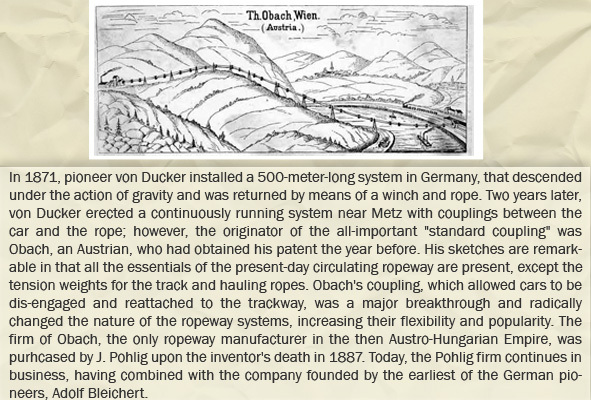 In other situations, the hoistway was exchanged for a winding track and a levitated car made stops in response to passenger directions. 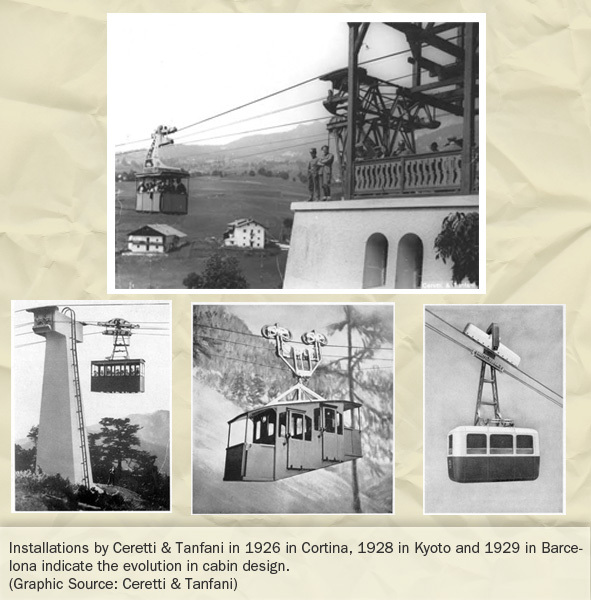 The genesis for the horizontal transport of people in bunches was, no doubt, the streetcar of Frank Sprague who saw moving people horizontally rather than vertically as the first priority when electricity was first being harnessed. 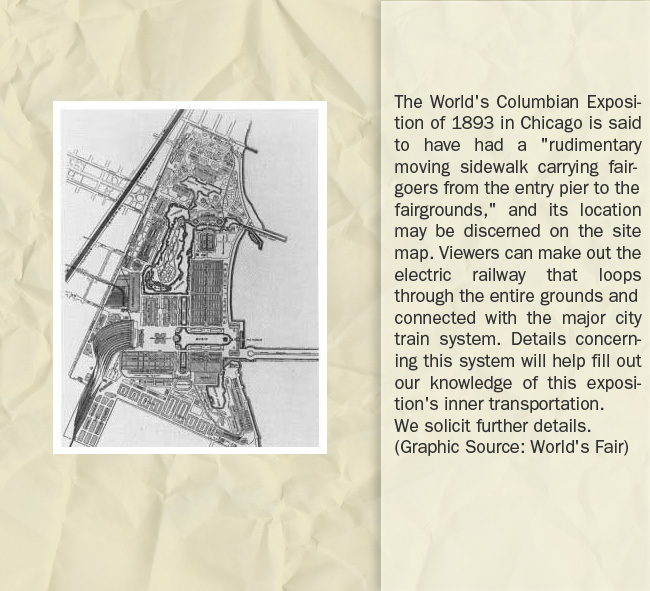 The Chicago Columbian Exposition of 1893 relied upon an electric train that looped around the fair grounds, making frequent stops. 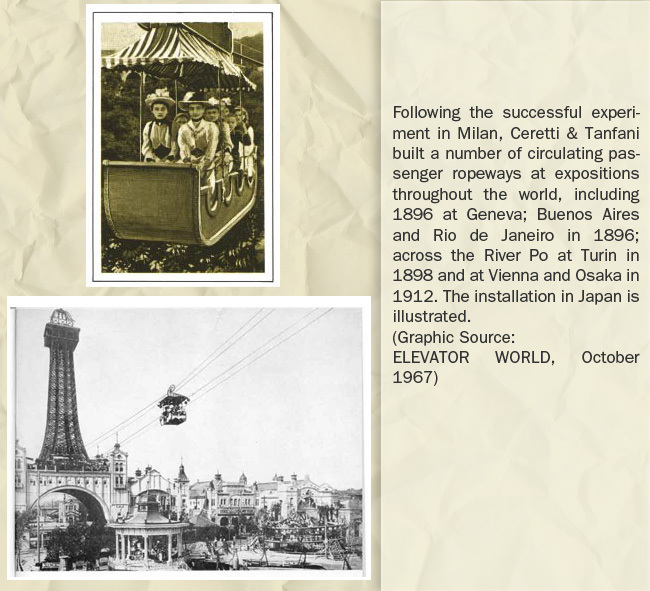 Thereafter most large expositions envisioned this kind of short-range automated people mover as an answer to dispersing large assemblies of people. 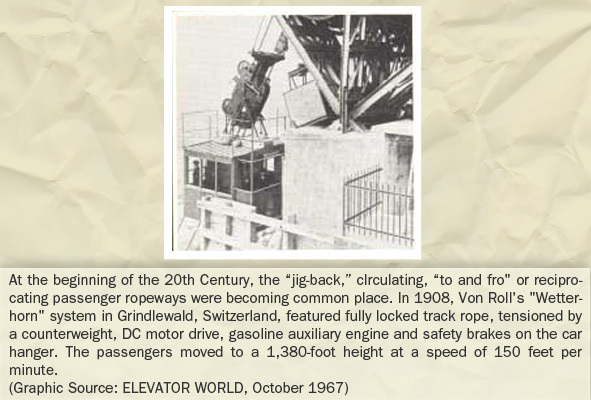 The inventions of the elevator industry -- drive machines, controls, fixtures, signals and automatic car doors -- often served their purposes, whether batches of passengers were moved vertically or horizontally! 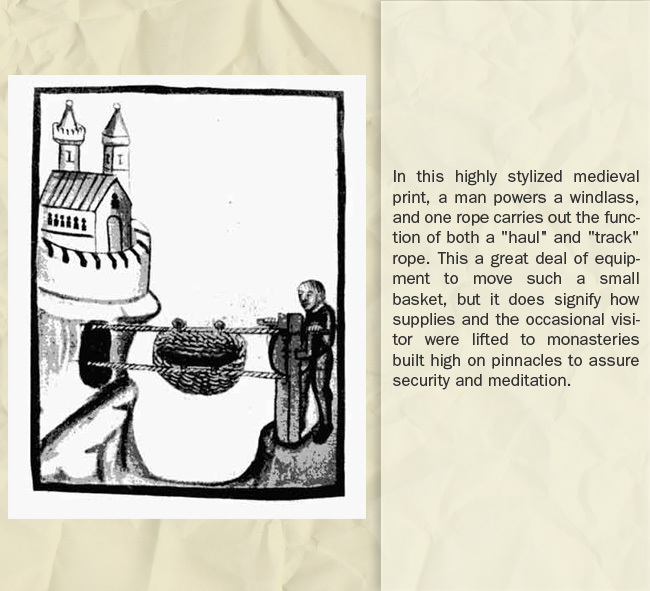 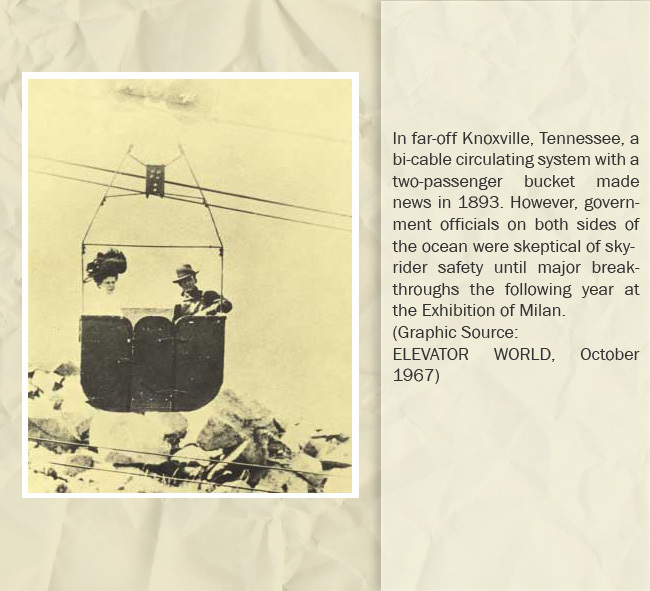 Whereas ground level travel often met with obstacles — steep slopes, rivers and thick growth — the highway in the air was unencumbered! 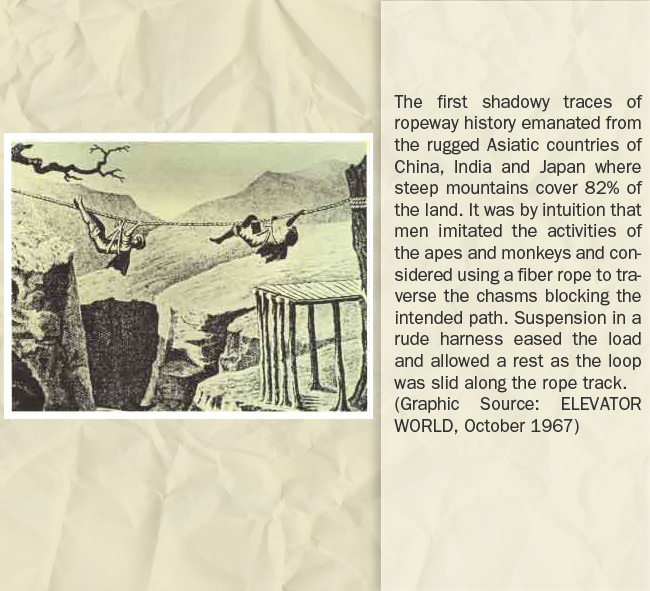 The first humans were forced down from the trees when forests disappeared but always missed the freedom of the open skies. 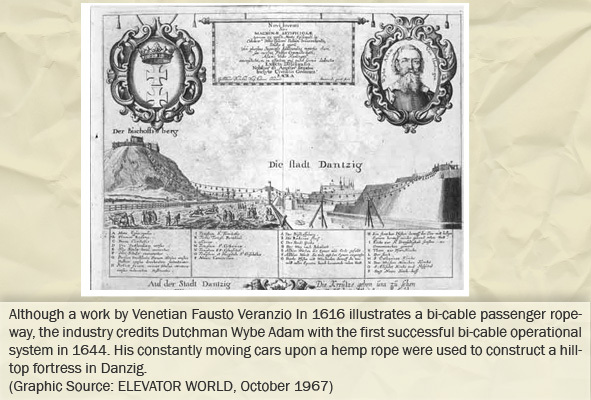 When woven rope became an improvement upon thick vines as a means of transportation, humans looked back to the sky. 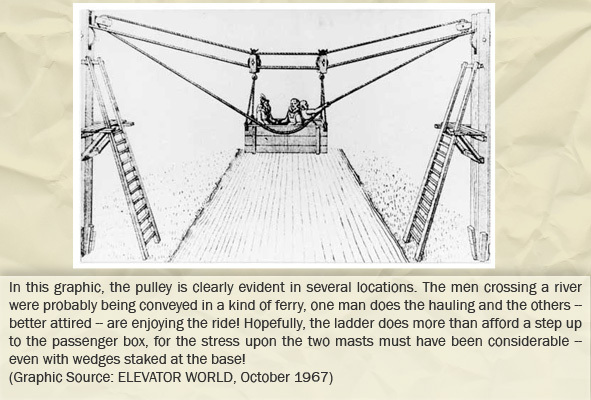 They saw the rope, and what could be hung from it as their ticket to unimpeded movement and went from moving hand-over-hand to suspension in bags, baskets and boxes until a few wheels were added, along with a haul rope as a companion to the carrier rope. 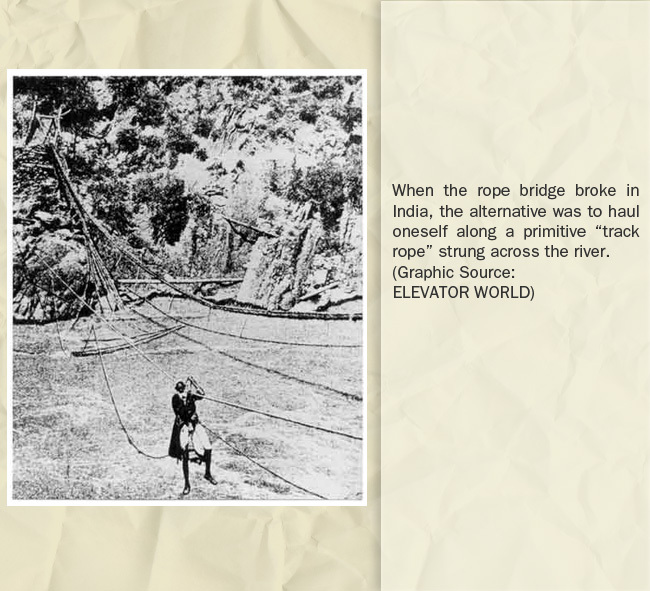 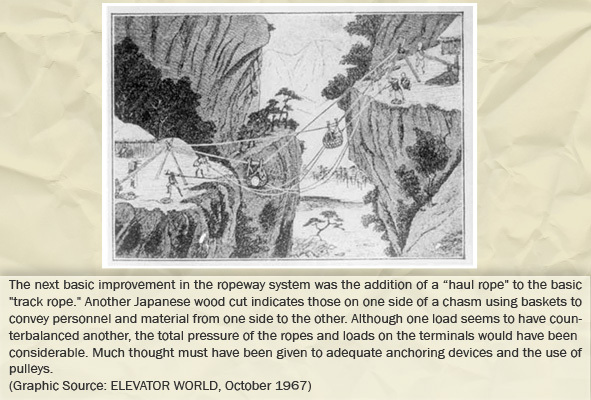 As with the vertical elevator, improvements were made in the strength of rope, the running gear and the cabins. 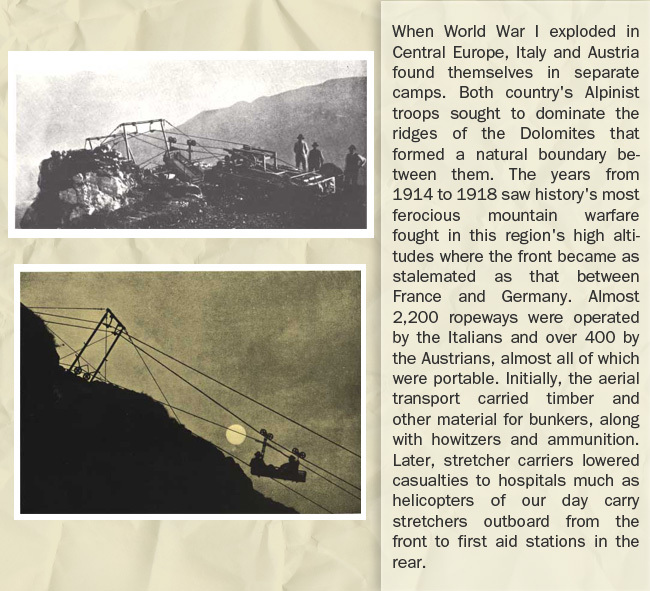 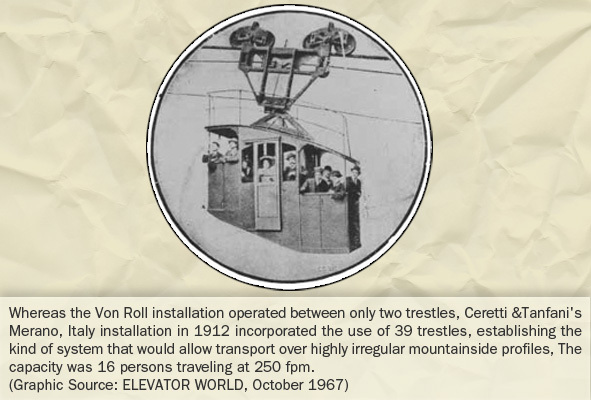 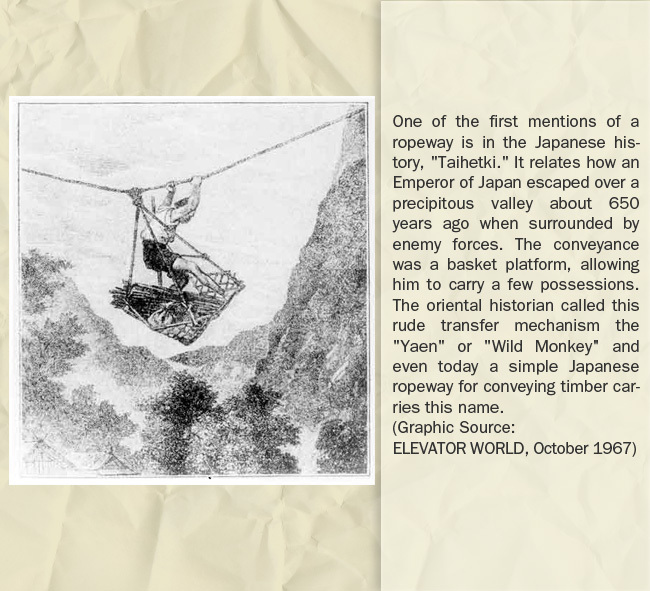 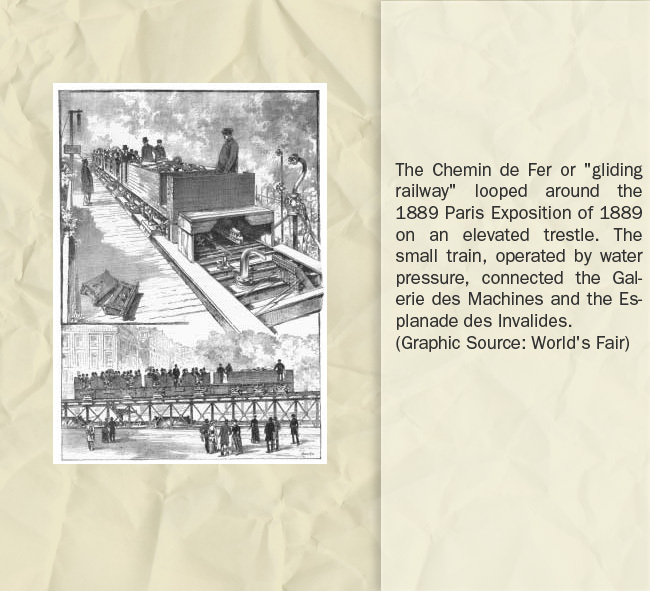 Finally, with the advent of steam and electrical power, drive machines and controls provided aerial transportation that allowed as many as 150 passengers in a cabin to conquer mountains and assure scenic views unavaiiable to the high-flying aircraft or the wandering balloon. 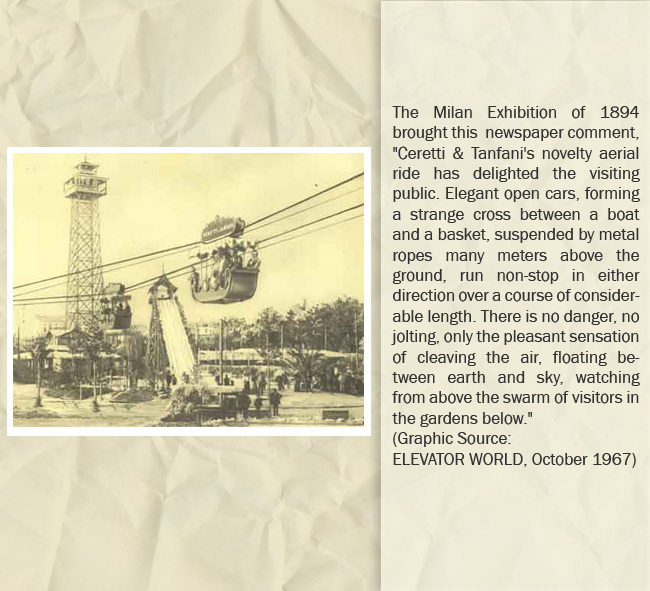 In time, the continuous movement of small batches of two to a half dozen passengers offered swift transportation within sports venues — in the sky!